The service will be available via the app and on the number 600-00-200. ApnaCabs, a government authorised aggregator of black & yellow taxis, and Cool Cabs announced that it had launched its services in Mumbai. It is the first of its kind to offer a physical panic button in the cab, compared to the on-app feature in Ola and Uber. The device when pressed activates two-way speakers within the taxi, which can be monitored via a command centre at a central location. 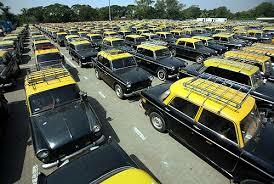 The taxis will also come equipped with GPS devices, which can track the movement of the cab in the city. Over 1,600 taxis now have these devices installed. The company plans to introduce the service in Delhi soon, with 100 drivers already signed on. The USP of this government licensed operator is its security solution, that ensures foolproof safety of its passengers, including women travellers. ApnaCabs has security devices installed in each of its registered ‘Kaali-Peeli’ taxis and Cool Cabs. The company’s command centre monitors all movements on GPS and a panic button is installed in each vehicle which lets passengers call for assistance in case of any untoward incident. “The prevailing taxi service scenario in the country struggles with two challenges: customer security and compliance with government rules. "With ApnaCabs, we are targeting at plugging both these gaps. Besides being government licensed cab aggregators, we also have a patented (pending) solution for the safety of customers. "Our focus is on offering the most economical, secure, convenient and cost-effective form of travel for all customers in the city,” said Srikanth Lingidi, founder & CEO, ApnaCabs.